To order this product, please fill out the form below. Let your carpet be the star of the show with comfort layer of padding and let your feet enjoy all the ease and tendernesses that a magnificent underlay can give. The padding can greatly increase the lifespan of your carpet by up to a stunning 40% and improve its life in the long term. Suitable for trade shows, exhibition events, hotels, you can enjoy that extra bit of relaxation that you deserve along with wonderful heat and sound insulation. 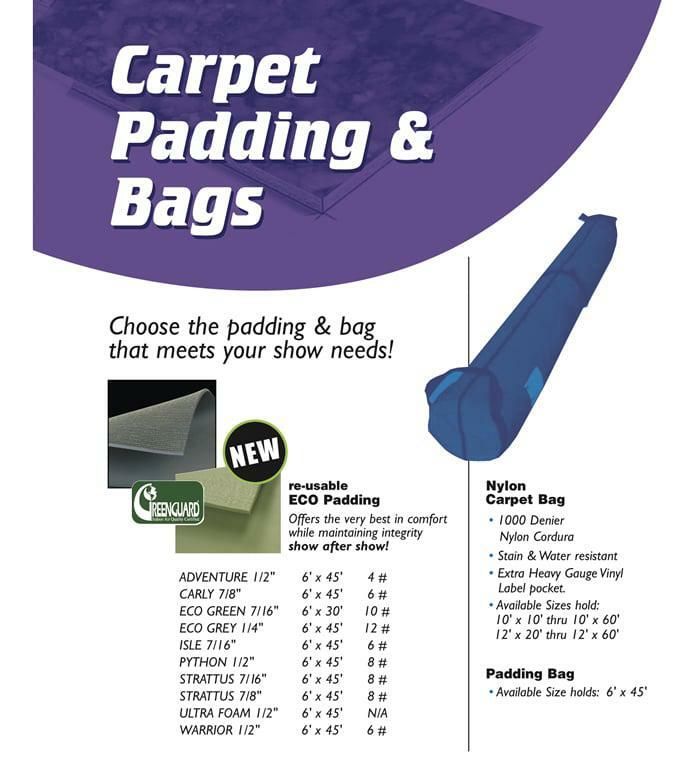 Buying new padding is easy with our top quality material measuring and consultation services, call us at 866-730-3746 today and let us help you choose your new padding.